Another great gooseberry sauce which is easy to make and livens up a simple dish of salmon or mackerel. 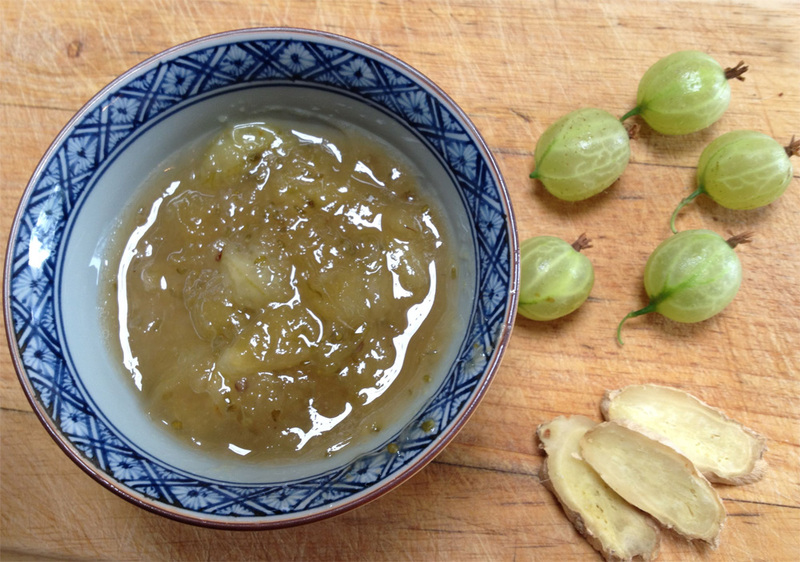 Top and tail gooseberries, put into a pan withe the sugar and cordial. Peel and coarsely grate ginger and add to pan. Bring to boil and simmer for ten minutes. Serves 6, with pork or oily fish. This is a Nigel Slater recipe. Cooked and photographed by Anne Price.